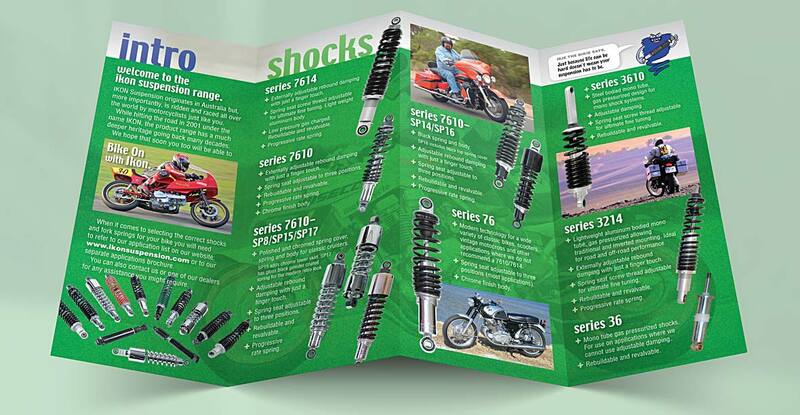 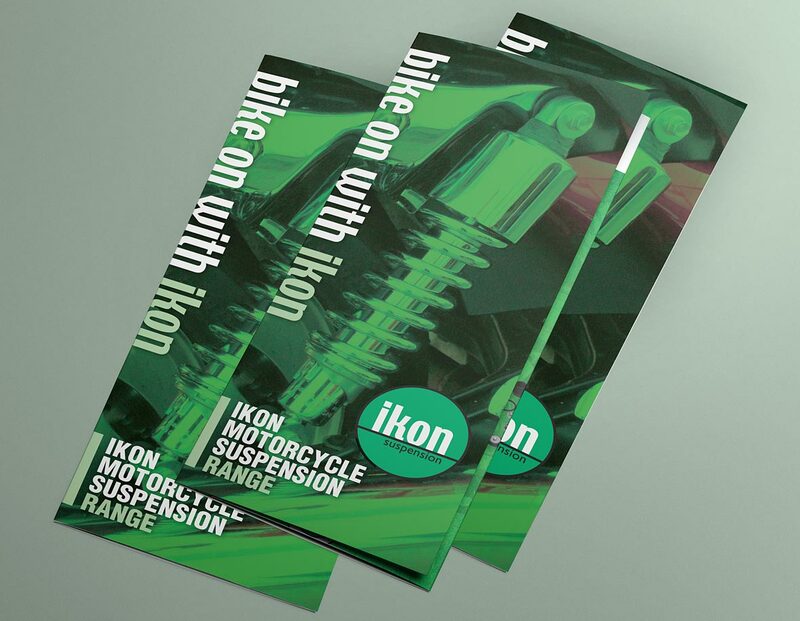 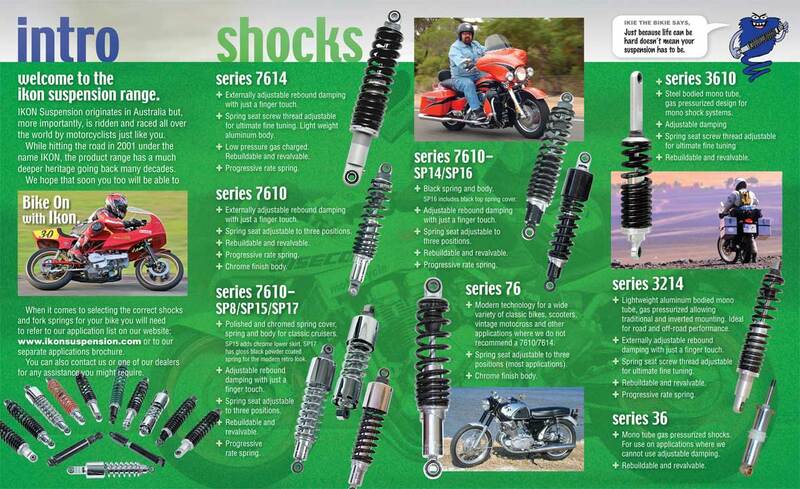 This four-panel, accordion-fold brochure is provided to dealers to show an overview of the Ikon motorcycle suspension range of products available to consumers. 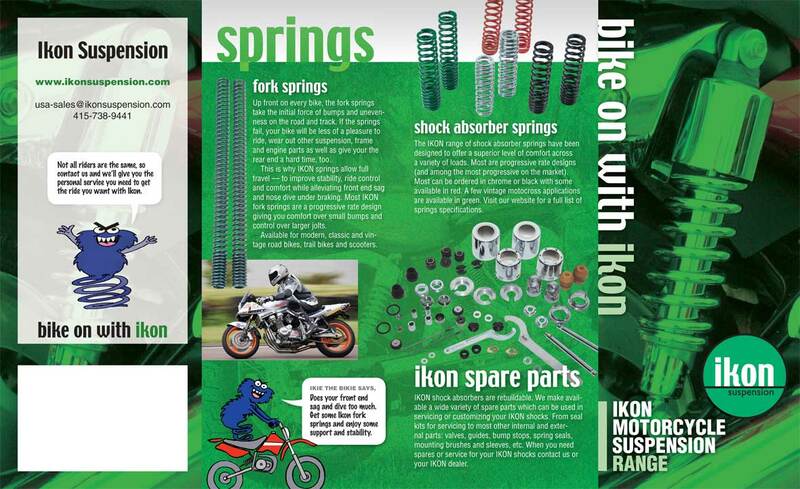 It features Ikon’s signature green color and the same font as the logo for headlines to reinforce the company branding. 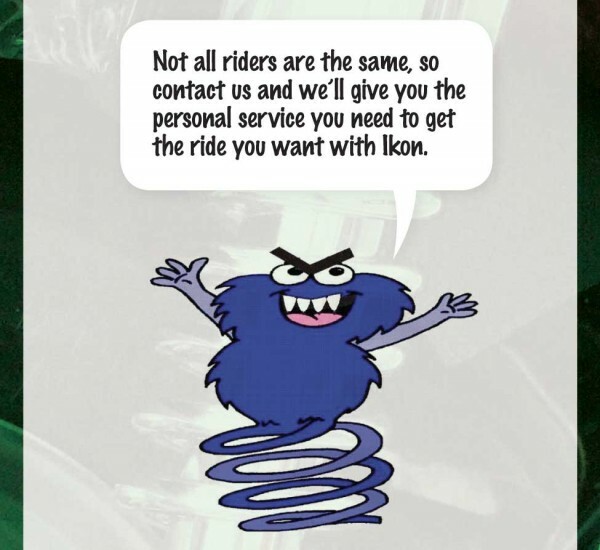 Small doses of their mascot, “Ikie the Bikie,” are added for a bit of whimsy while the suspension wisdom provides important marketing information.